With an impressive 52-21 Week 10 win over the Carolina Panthers, the Pittsburgh Steelers are well on their way to another championship run. Star wide receiver Antonio Brown once again had the crowd at Heinz stadium their their feet as he brought in all six of his targets for 96 yards and a touchdown. In case you missed it, AB scored his 10th receiving touchdown of the season in Week 10. The 53-yard bomb in the second quarter marks the seventh game in a row in which AB has scored a touchdown—plus the 69th of his career.Unlike the fire and wind-resistant metal roof that protects the tree house, there’s no stopping the wide receiver from blowing past his opponents to reach the end zone. After being cited for reportedly operating his Porsche at speeds over 100 mph on McKnight Road prior to the Week 10 game on Nov. 8, AB could certainly use a comfortable space to slow down his pace. 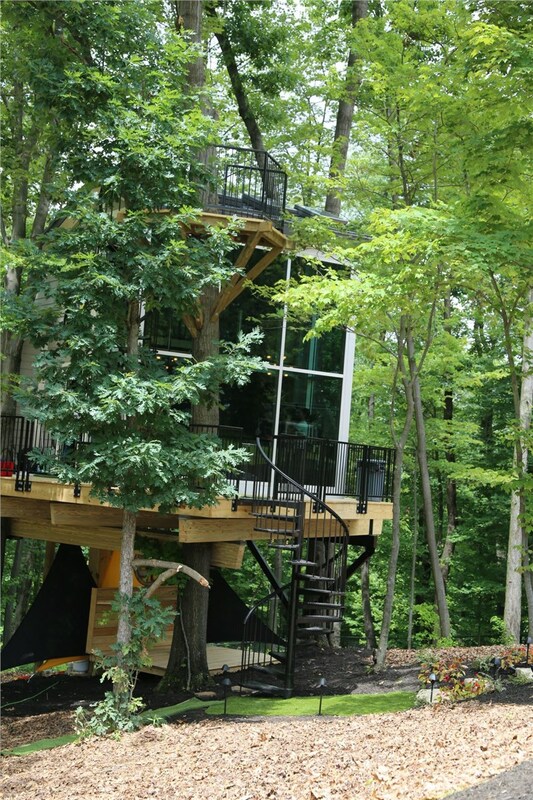 Since we installed James Hardie fiber cement siding, AB’s tree house is well insulated and protected from the harsh Pittsburgh climate. AB’s tree house is truly decked out with luxurious flair inside and out. He can get his workouts in on a custom basketball court or soccer pitch, then head to the second floor to relax in a spacious bedroom with awe-inspiring, panoramic views. With composite hardwood flooring throughout and wiring completed by our own electrician, you can bet that AB has everything he needs to unwind when he’s not on the field. Plus, since every element of the tree house was custom-designed to AB’s liking, surely he won’t think about tossing anything out the window! If you’re interested in learning more about the tree house project for AB, or would like more information about our kitchen renovation and bathroom renovation solutions, contact Legacy Remodeling today!